I have been eating out too often lately due to some unavoidable reasons. So, I decided to make a little something healthy and light for dinner. It’s super easy to make too. For the Mince chicken, I was lazy and used the Ramli’s frozen pack which comes in a packet of 4 blocks. It’s really easy to use and the taste is pretty good too. I used 2 blocks. I pan fry the mince chicken with some garlic oil (which I always have in jars). Once the meat cooked about 60%, I throw in the sliced red onion and diced yellow onion. Throw in some salt and black pepper to taste. Rub in some dry Thymes and Basil leaves. Sprinkle a bit of sugar and 1 tbsp of oyster sauce. 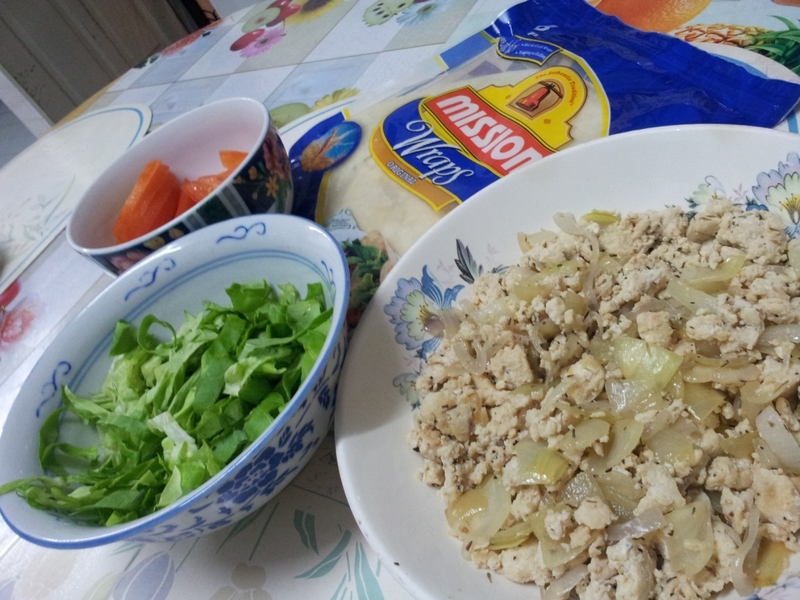 Stir everything together until all the ingredients are well mixed and the chicken cooked. And then, I sliced up 2 tomatoes. Chop up some salad leaf of any kind (I used butterhead here). 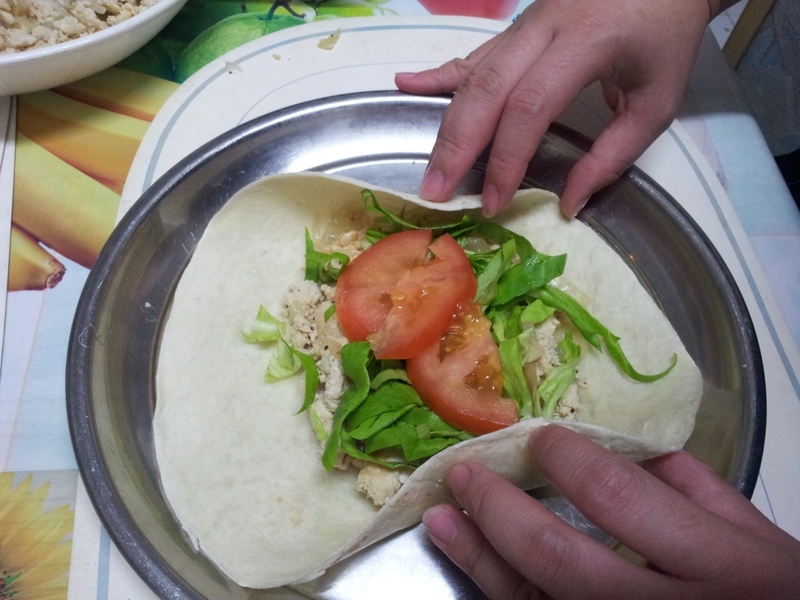 Grab one sliced of wrap (which you can easily get from any supermarket). 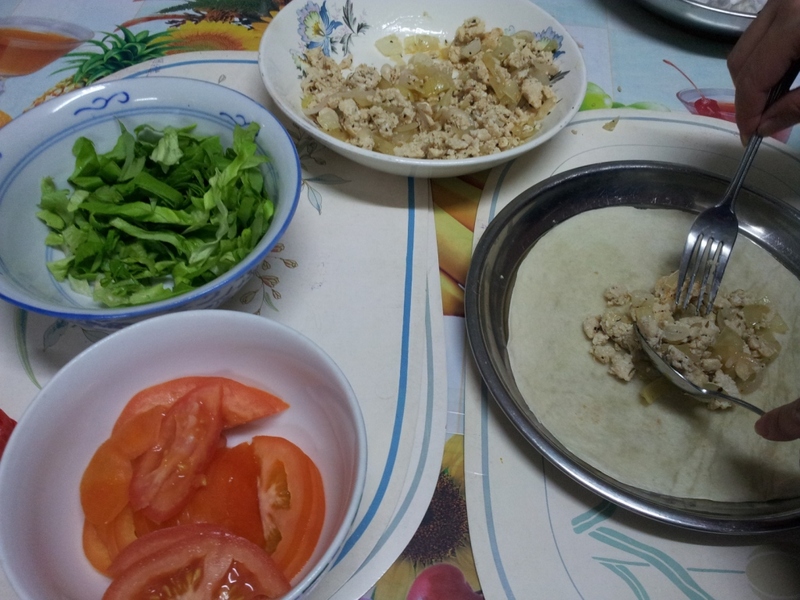 Spoon in the mince chicken first, then top is with the salad leaves and tomatoes. 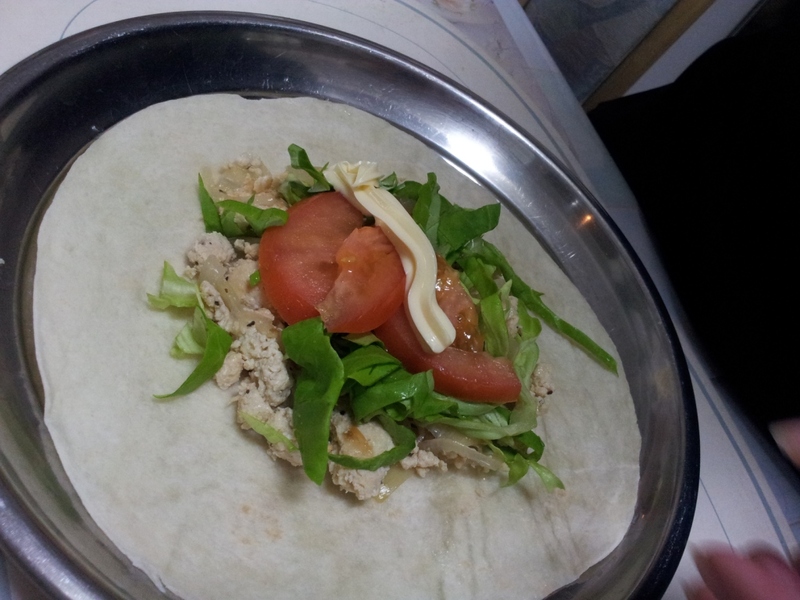 I also tried another version with some Japanese mayo on top before wrapping em up. That was really good. I might try honey mustard next time too..
Yum yum… it really does Taste quite good. Mum and I managed to wallop 2 wraps each. Hubby polished up 3 !! !